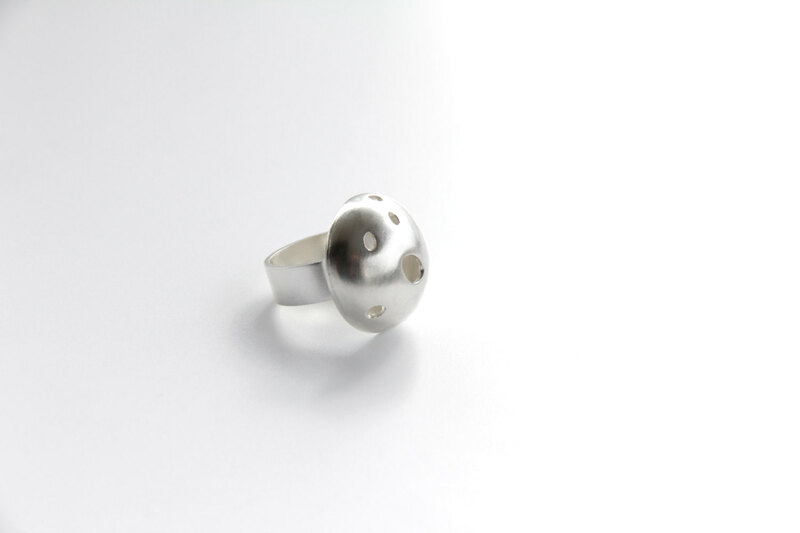 - The Bubble is domed, drilled and cut by hand from 1mm sterling silver sheet. - The domed circle measures 2cm in diameter (0.79 inch). 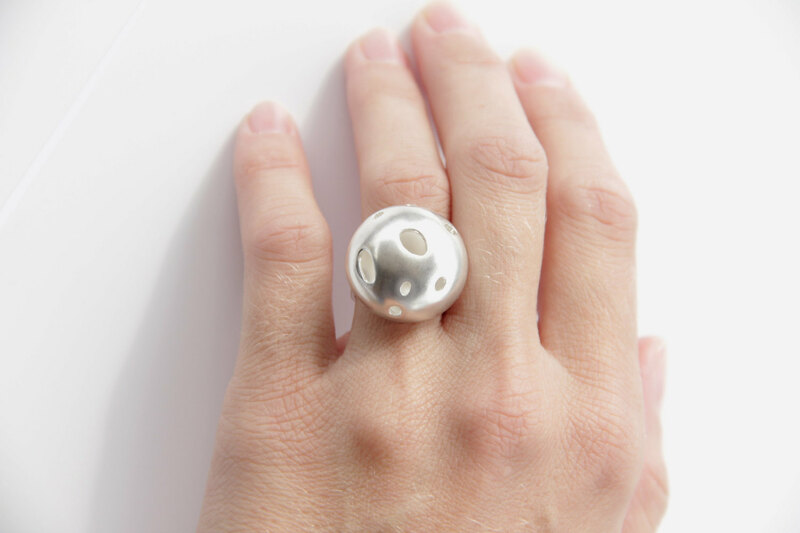 - The band is sterling silver, measures 6mm wide by 1mm thick.